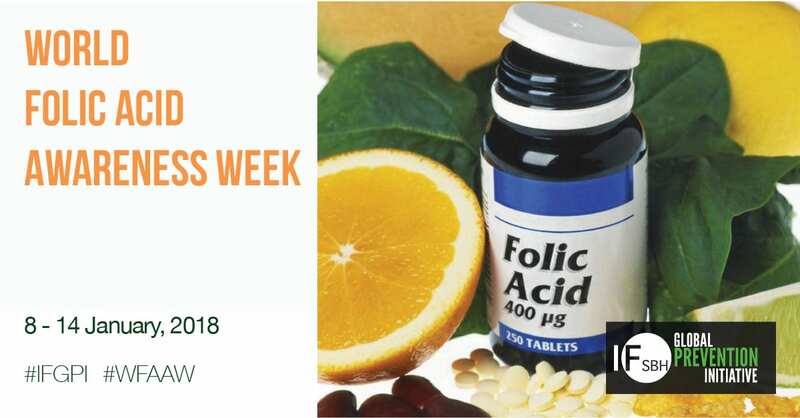 HomeNewsPreventionJoin the IFGPI for 2018 World Folic Acid Awareness Week! 2 January 2018 // IF Global Prevention Initiative will kick off World Folic Acid Awareness Week 2018, from 8-14 January! We ask you to join this year’s World Awareness Week on Folic Acid to increase the prevention of Neural Tube Defects! Show your support on your social media channels and use our Toolkit to find inspiration. We also ask you to sign up for our Thunderclap Campaign to promote our message. Share with friends, family and colleagues, and together let’s make a difference! Neural Tube Defects are largely preventable, yet there are half a million pregnancies worldwide that are affected by Neural Tube Defects. Since 1991 science has proven that Folic Acid is key to prevent these conditions. However, there still exists a lack of understanding among women about Folic Acid – what it is, how much they need, how to get it and the need to take it before getting pregnant. Today, most countries recommend that all women who could become pregnant, take a daily supplement containing 400mcg Folic Acid, starting at least one month (ideally 3 months) before conception and continuing for the first 12 weeks of pregnancy. Women can’t get enough folate through diet alone to support a healthy pregnancy, and that is why supplements are recommended alongside a healthy diet, and increased intake of staple foods fortified with folic acid. IF continues to work on increasing universal knowledge about Folic Acid benefits through its Global Prevention Initiative (IFGPI). This year, during the week 8-14 January, IFGPI highlights the importance of Folic Acid for women at childbearing age and why this nutrient is essential for healthy cell growth and development, providing the basic building blocks for DNA. If you’ve not already joined the campaign, you can sign up and add your support to the Global Prevention Initiative here.